Antique effect frosted pewter opaque coloured mercury glass candlestick. Hand made. Height 19.5cm diameter of base 8cm. Takes candles of 2.5cm diameter. Beautiful hand made opaque mercury glass candlesticks in a beautiful pewter colour, with a fitted silver coloured metal candle cap to hold the cnadle upright. 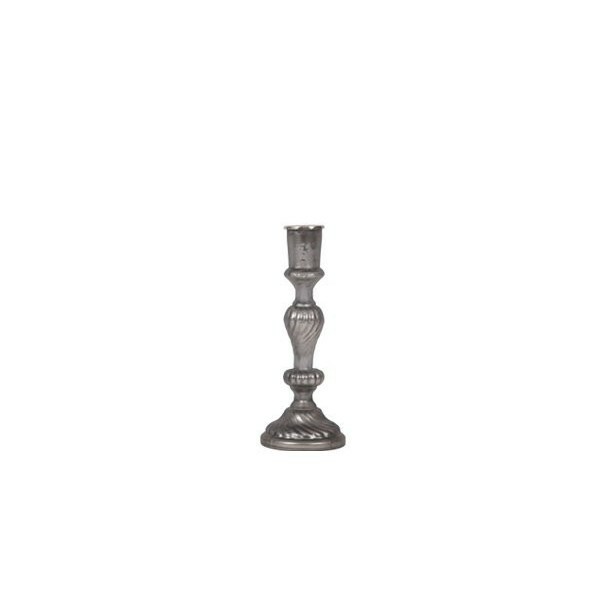 Mix and match with our large candlestick in the same colour or buy two of the same size as a matching pair. 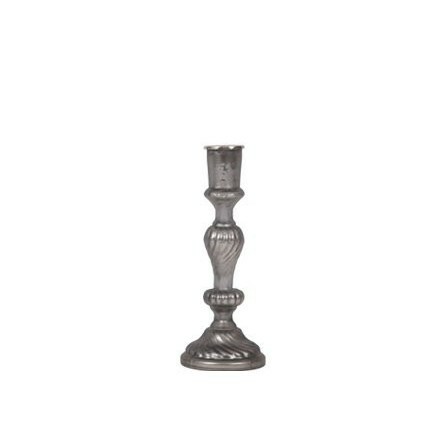 These elegant candlesticks look fantastic on the dining table or on the mantle piece!